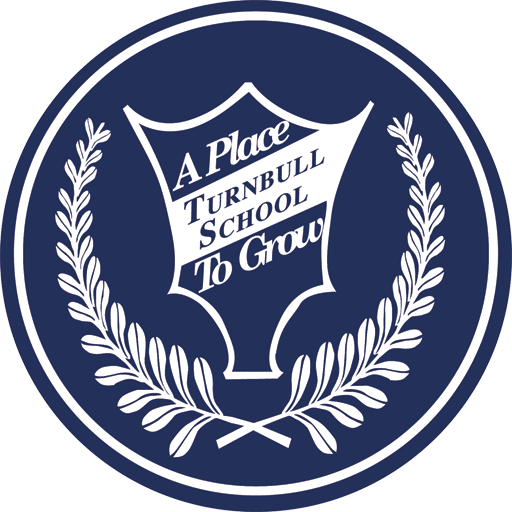 Turnbull School has created a model school to meet the individual needs of children by offering enrichment in their areas of strength, and assisting them to fill in any gaps in their learning. We place a major emphasis on a competence-based approach where each student can apply skills, acquire knowledge, develop creative problem solving skills, become an effective communicator, and acquire strong social and leadership skills. Time management and organizational skills are viewed as an integral part of their curriculum and essential to their future success at high school, post-secondary education and in their careers. "Getting to know the school, we have really enjoyed the “caring for others” atmosphere, combined with the high academic standards. We are amazed how the atmosphere of caring is carried out in every corner of the school." By experiencing a small school environment of approximately 360 students and a very low student-teacher ratio (10:1), there is a strong sense of community and belonging here. Teachers really know the students, and the children have positive interactions with each other. 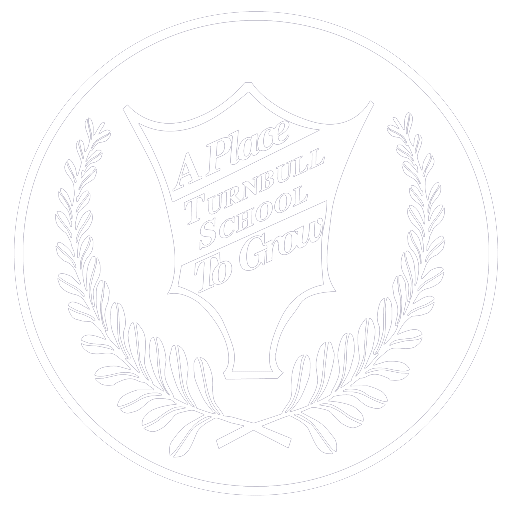 A Turnbull student has greater opportunities to develop excellence in learning, leadership skills, and a sense of contribution to the classroom and school community. Our learning environment encourages children, celebrates their creativity and applauds their courage to take the risks that are inherent in the learning process. Much emphasis is placed on the children’s contributions, strengths and their individual growth. "In my view, such initiatives not only serve to strengthen the internal day-to-day harmony of the School but, one expects, they will inevitably and invaluably influence into adulthood the developing and lasting character of these children." 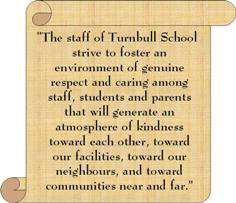 Turnbull students are taught and given positive encouragement to follow the school’s Honour Code. This code includes the Code of Academic Excellence and the Code of Compassion. Each fall students reaffirm their personal commitment to the Honour Code and the standards of personal best to which we all aspire. 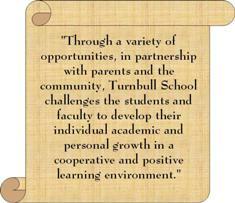 Through the Code of Academic Excellence, Turnbull students make a personal commitment to do their best to further their own growth. This includes taking responsibility for their work, being prepared, and caring about the growth of others through participation and respect. The Code of Compassion embodies the school’s belief that all individuals should be treated with compassion and that each of us should treat others as we want to be treated. What a positive impact Turnbull School has had on our daughter’s life, and thereby ours! We are from Denmark, on a one year sabbatical leave. We chose Ottawa to be our place for expanding our horizon. We liked the fact that the school communicates frequently and well, with parents. We were very happy that all students have daily physical education, something our daughter didn’t have before. We also liked the fact that there was a dress code, but not a uniform. To us, it signalled a modern yet professional atmosphere at the school. We have really enjoyed the “caring for others” atmosphere, combined with the high academic standards. We are amazed how the atmosphere of caring, is carried out, in every corner of the school. After just half a year at Turnbull, we have a daughter who now performs on stage, speaks in class, is much more open, has much more self-confidence and loves to go to school! We, as parents, ask ourselves, how can that be? We think the key is the “caring for others” environment in every little corner of the school. The essence of my message is to warmly compliment the School for its consistent efforts, via the Honour Code and especially through the Director’s very thoughtful and inspiring assembly talks, to inculcate in the students a meaningfully, healthy set of straightforward communitarian values based on personal attitudes and behaviour. In my view, such initiatives not only serve to strengthen the internal day-to-day harmony of the School but, one expects, they will inevitably and invaluably influence into adulthood the developing and lasting character of these children.